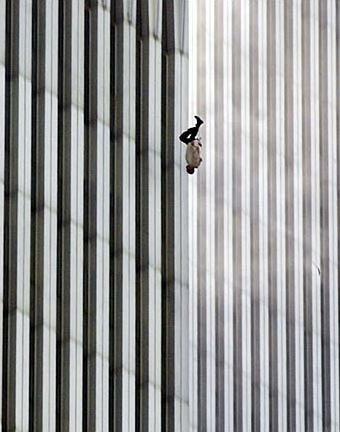 The Falling Man–So much happened so fast. In the midst of the atomic age, JFK challenged the nation to put a man on the moon, and within a decade, the space program did. The moon landing inspired a Cold War generation to pursue science and engineering in the name of innovation. Kids who watched Neil Armstrong walk on the moon grew up to launch satellites, create the internet and build the International Space Station. It’s 50 years since JFK, and even as we retire the Space Shuttle program alongside its memories and triumphs, our curiosity  is still wild enough to take us to Mars.It’s the Age of Terror and double-dip recessions now. Everyone wants to know exactly where our money is going, and why. What else can we do?Just eleven years after we watched one suited man fall to Earth , a global team of experts sponsored by an international corporation  put a new man in the sky. Up. Way up.This man  was wearing a suit, too — a new suit — one that caused him panic attacks and claustrophobia in the years leading up to his historic fall.This man was all alone.In his ear was the voice of an older generation. The man in the suit stood on a small platform facing outward, suspended at the foothills of the heavens. He could see the curvature of the Earth and the continents unsullied by borders. He stood between the blue glow ocean and the sheer void of space. He stood there in silence. Nature thwarted one previous attempt. Another, skipped because of panicked behavior. But this time, the man stood alone, above the Earth, while back at home we watched from indoors, behind locked doors. Many of us watched through glass screens, some listened through headphones. Some people held their breath with hand over mouth and some of us were all by ourselves.The man said something. It was garbled and incomprehensible, but he said it. 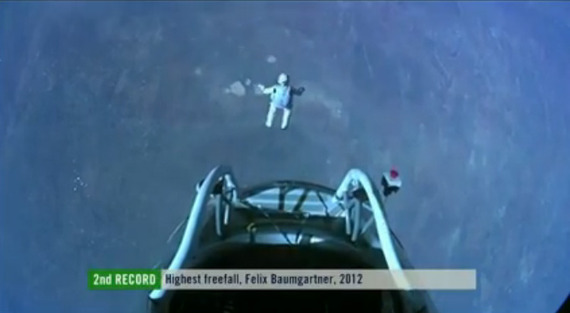 Then, the man in the suit jumped and fell towards the Earth.We all fell. For minutes, we sat silent, the foreign commentary muted, and listened to his breath accelerate as our hearts did the same. The action itself spoke loud enough to break the sound barrier. It was a testament to the human will and proof of our kerosene blood. Instead of asking ourselves what we can’t do, we’re shifted to ask ourselves what we will do. And if there is a fight with fear we will win it.We will jump from space, just because. This time, we made it.Times have changed. –Footnotes: “I want to send a robot to the moon with a camera and I need a few billion dollars” is a hard sell no matter which political climate you’re pitching it in. http://en.wikipedia.org/wiki/The_Falling_Man Red Bull did a good thing here. The good-natured press they generate is the type of advertising money can’t buy. Good attracts good. Stratos is an example of having cake while also being able to eat cake. 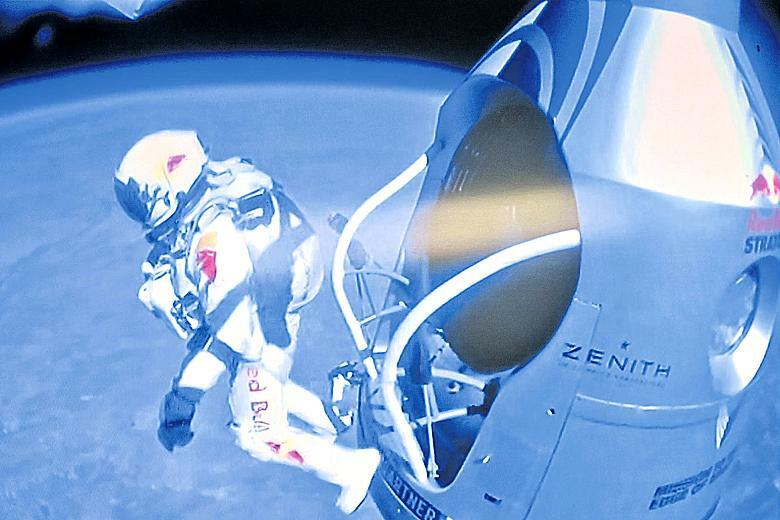 Felix Baumgartner sounds like a cat name. “At one point in 2010, rather than take an endurance test in it, he went to an airport and fled the United States. With the help of a sports psychologist and other specialists, he learned techniques for dealing with the claustrophobia.” (NYT 8/15/12) Dude, imagine if he justâ€¦ died. It would have been a genuine tragedy. We would never have known what he said, Red Bull stock would have taken a steep dive, and the groundhog would see his shadow and declare six more years of terror. But that was never going to happen and Red Bull invested heavily – they bet their equivalent of the economy on success. Actions speak louder than words blah blah overcrowded volume of news commentary uh-huh whatever — the sound barrier thing is poetic to me because our parents may say what they will about the quality, but our generation’s tunes are undoubtedly the loudest. 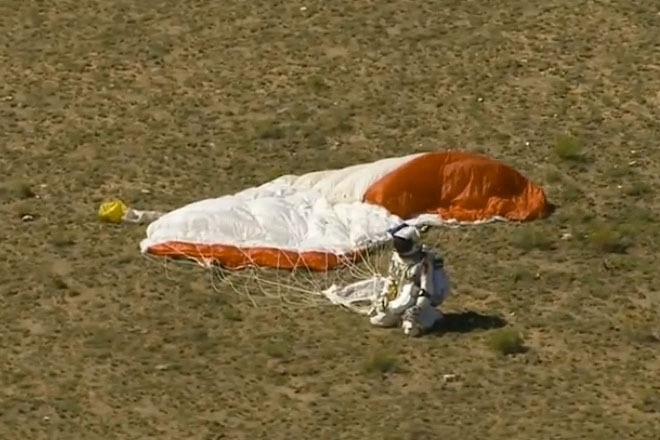 “Engineers considered aborting the mission when Mr. Baumgartner’s faceplate began fogging during the ascent, but he insisted on proceeding and made plans for doing the jump blind.” (NYT 8/15/12) â€¦ Man, he would have done it blind. 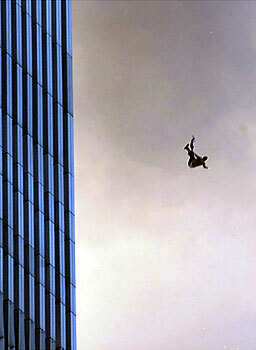 http://www.esquire.com/features/ESQ0903-SEP_FALLINGMAN#ixzz29RXZENJrhttp://www.thetimes.co.uk/tto/news/world/americas/article3567921.ecehttp://www.stuff.co.nz/world/videos/7817432/Felix-Baumgartners-record-setting-leaphttp://www.esquire.com/features/ESQ0903-SEP_FALLINGMANhttp://www.nytimes.com/2012/10/15/us/felix-baumgartner-skydiving.html?_r=0]http://www.bbc.co.uk/news/science-environment-19943590The Falling Man, a photograph by Richard Drew for the Associated Press.